Those who want to play a game of simulated football today are likely to fire up Madden Football on their video game systems or check the status of their fantasy football teams. But before these brands of fake football became all the rage, gridiron fans who wanted to coach their very own teams could opt from a rich variety of board and electronic football games. 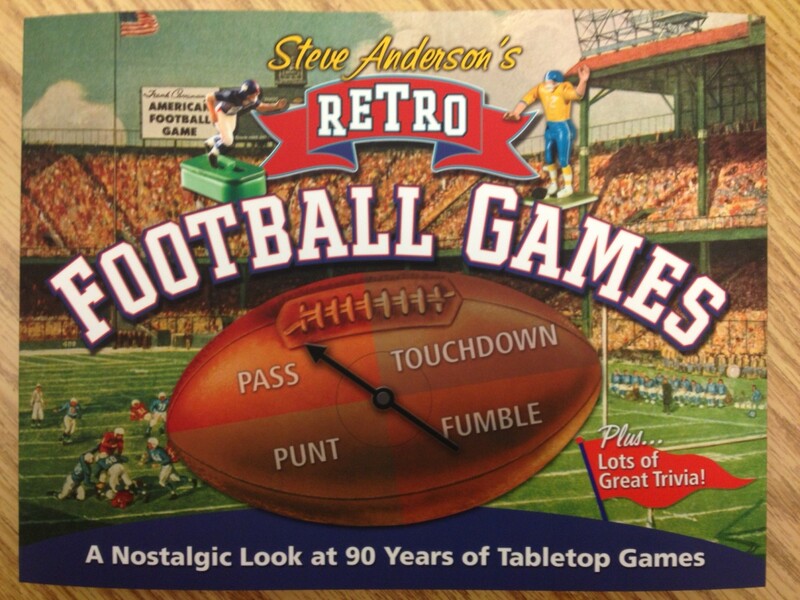 For a grand stroll through these offerings, check out Steve Anderson’s Retro Football Games (2014), an illustrated look at vintage tabletop football games from the last century. It’s a beautifully done book, featuring hundreds of games, ranging from very simple recreations of the sport, to complex statistical simulations that incorporate actual player performances and play calling options. 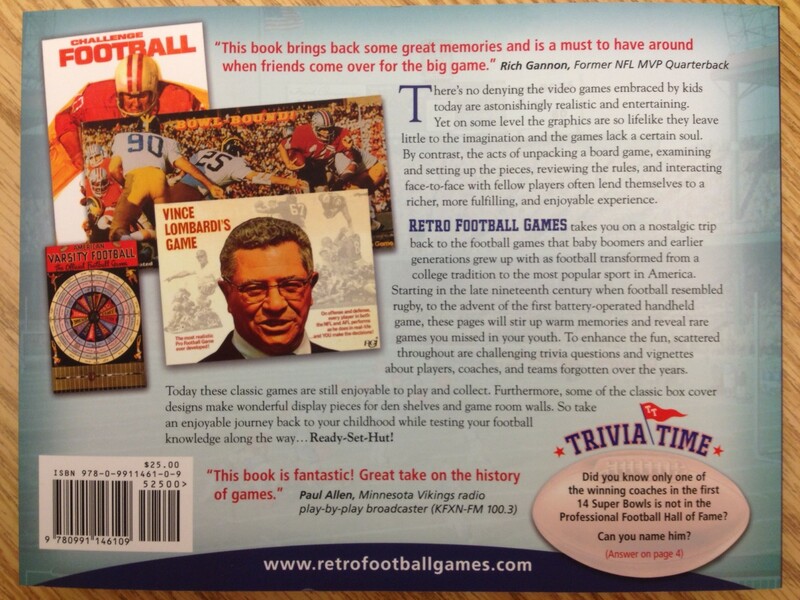 Interspersed with the photographs and brief descriptions are short sections on football trivia and collectibles. 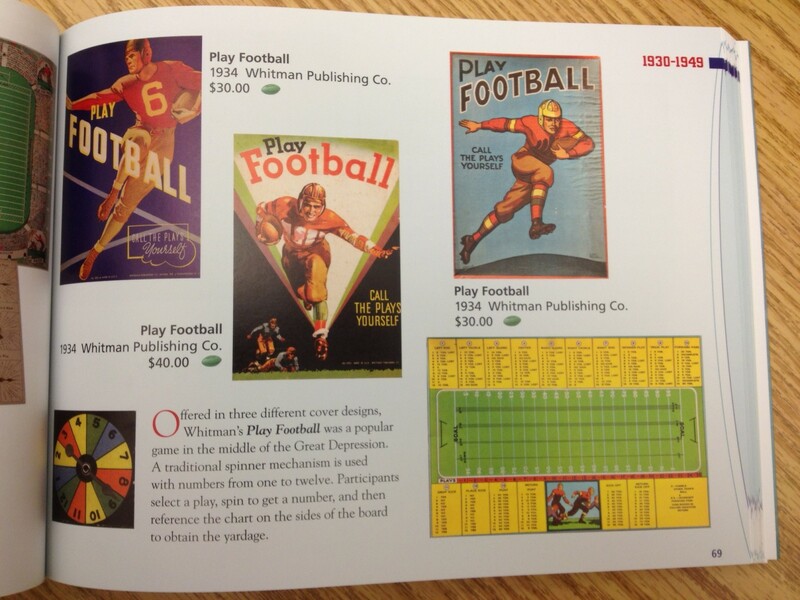 The Whitman Play Football game from the 1930s is an example of a simpler version of tabletop football. It’s activated by a spinner, with the play results obtained from the game board. 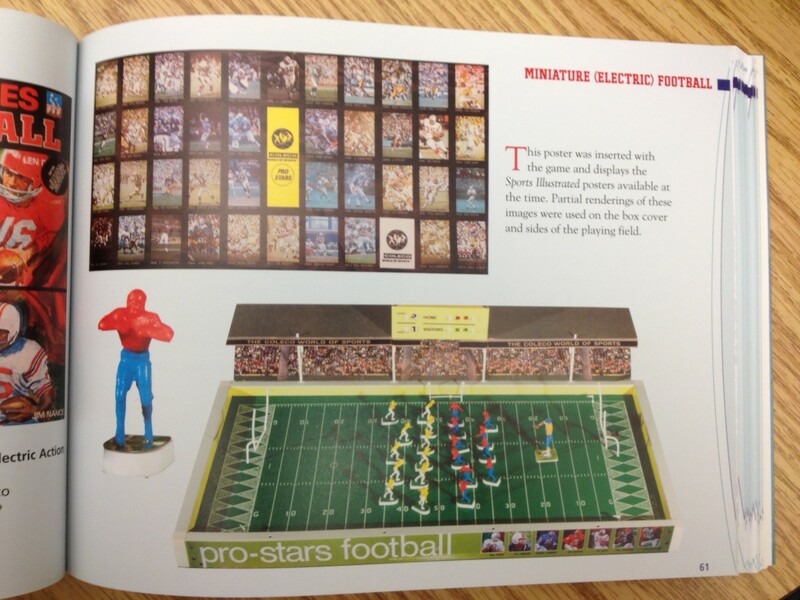 If you were a young fan in the 60s or 70s, it’s very possible that you played some brand of electric football. A vibrating field and quarterback figures who could “throw” a tiny felt football were the supposed keys to the plastic players executing their plays, but for many of us the results included mainly wrong-way runs and errant passes. Eventually tabletop football became more complex and sophisticated, with game systems that used real player performances translated into player cards and roster sheets with statistical ratings that would be taken into account when determining play results. No longer did you have to imagine your star player overwhelming the opposition based on generic result charts like the Whitman game. 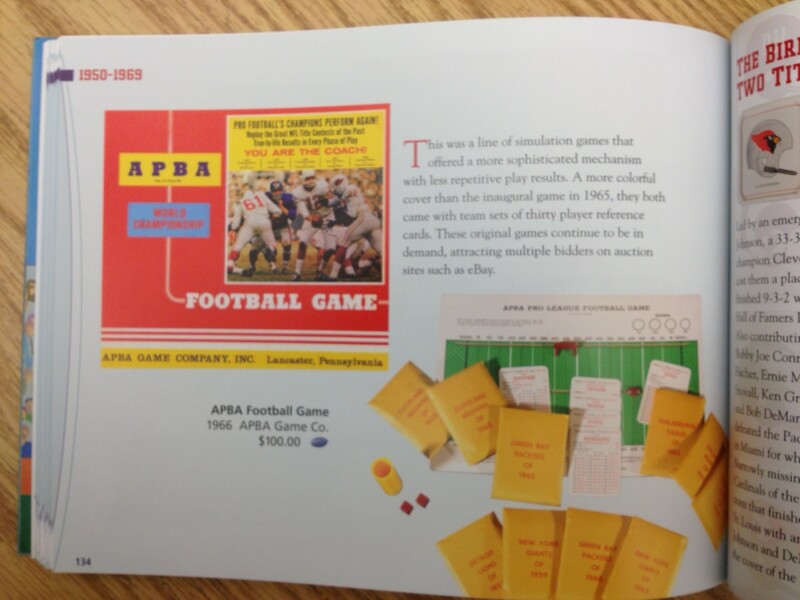 Instead, games like APBA Football would allow you to pick your lineups and plot game strategies. Steve’s book arrives just as the current football season is in full swing. Especially for those who grew up during this era, it’s nostalgic eye candy and a fun read. For more information and ordering details, go to his website, here. Tabletop football is not dead — far from it! In fact, buoyed by consistent demand from a lot of guys around my age, many of these games continue to be offered, with new offerings popping up all the time. There’s also an active after-market on e-Bay and sites dedicated to tabletop sports games, such as this popular site on Delphi. In addition, the second issue of a new tabletop sports zine, One for Five, features a cover package including descriptions of currently available football games. Brian, thanks for the comment. I hope that Steve makes lots of sales based on this word-of-mouth about his book!